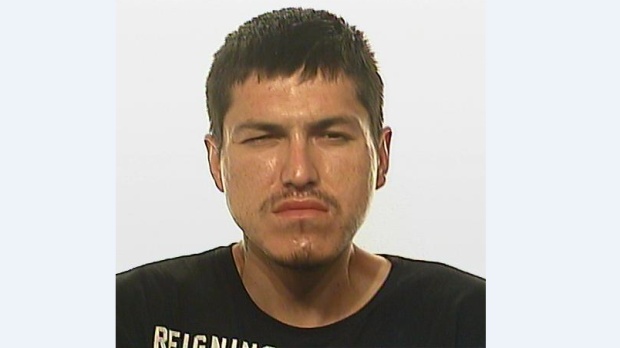 Police are asking for assistance in locating 27-year-old Wesley Floyd John of Regina. The Regina Police Service is asking the public for assistance in locating 27-year-old Wesley John, who is the subject of a warrant for arrest on charges relating to three incidents of break and enter. John is described as male, Indigenous, six feet and four inches tall, weighing around 180 pounds, with a thin build, brown eyes, short brown hair and a goatee and moustache. John is facing charges of break and enter, commit theft and breach of undertaking in connection to a break in at a business located in the 3500 block of Dewdney Avenue on July 19. Police have been unsuccessful in locating John. Anyone who sees him or knows about his whereabouts is being asked to contact the Regina Police Service or Crime Stoppers.